Chronic inflammation is a pathophysiology of insulin resistance in metabolic diseases, such as obesity and type 2 diabetes. Adipose tissue macrophages (ATMs) play important roles in this inflammatory process. SIRT1 is implicated in the regulation of glucose metabolism in some metabolic tissues, such as liver or skeletal muscle. This study was performed to investigate whether SIRT1 in macrophages played any roles in the regulation of inflammation and glucose metabolism. Myeloid cell-specific SIRT1-knockout mice were originally generated and analyzed under chow-fed and high-fat-fed conditions. 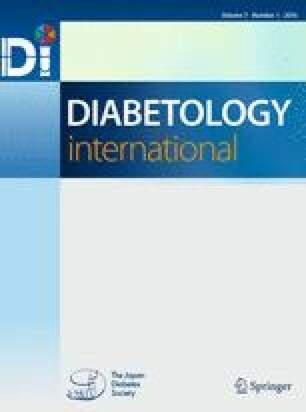 Myeloid cell-specific SIRT1 deletion impaired insulin sensitivity and glucose tolerance assessed by the glucose- or insulin-tolerance test, which was associated with the enhanced expression of inflammation-related genes in epididymal adipose tissue of high-fat-fed mice. Interestingly, the M1 ATMs from the SIRT1-knockout mice showed more hypoxic and inflammatory phenotypes than those from control mice. The expressions of some inflammatory genes, such as Il1b and Nos2, which were induced by in vitro hypoxia treatment, were further enhanced by SIRT1 deletion along with the increased acetylation of HIF-1α in cultured macrophages. These results suggest that deletion of SIRT1 in myeloid cells impairs glucose metabolism by enhancing the hypoxia and inflammatory responses in ATMs, thereby possibly representing a novel therapeutic target for metabolic diseases, such as type 2 diabetes. The online version of this article (doi: 10.1007/s13340-015-0213-3) contains supplementary material, which is available to authorized users. This work was supported by Grants-in-Aid for Scientific Research from the Ministry of Education, Science, Sports, and Culture, Japan (18209033 and 21591126 to K.T., 21790867 to Y.K., 22590971 and 50377272 to I.U. and 30512082 to S.F.). We thank Ms. Kana Sugihara and Dr. Qun Zhang for their excellent technical assistance. We also thank Dr. Hikari Suzuki and Dr. Yu Kato for their useful discussions. The authors have no conflict of interest related to the current study.